ReadyRez believes that inside information on how to make a perfect resume should be easy to find and free. Why pay for information to find a job when money is already tight? That’s why ReadyRez offers a totally free (seriously, you won’t pay a dime) service to create a resume and automatically format it the way you want it to look – quickly and easily. 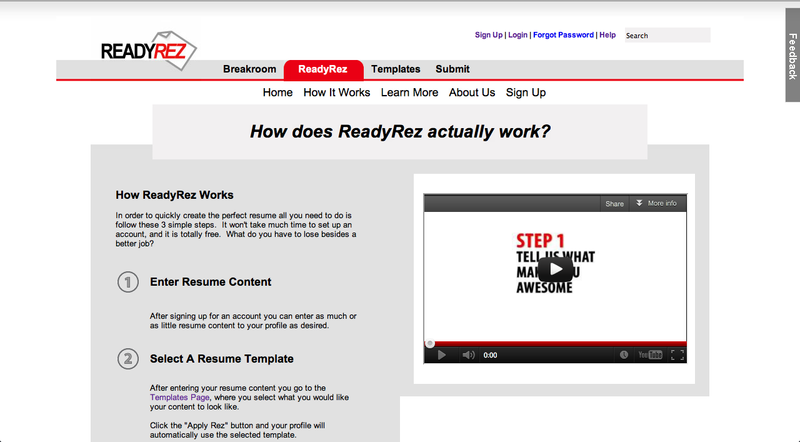 ReadyRez also has great features like uploading a previously made resume to store for later. 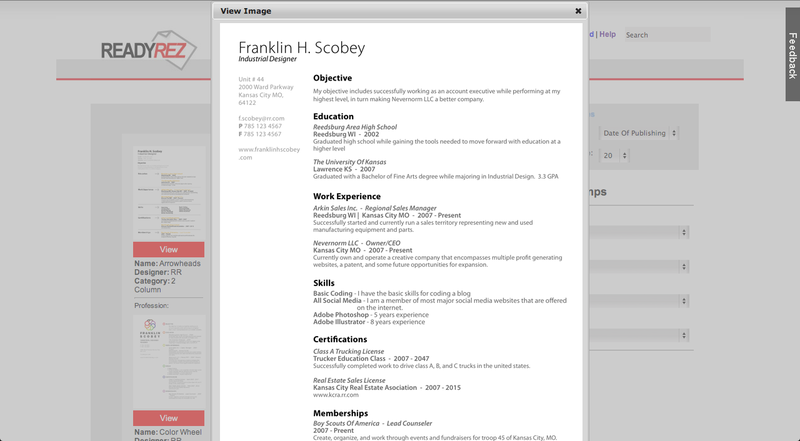 We also offer a custom resume URL so you can show off your resume from anywhere on any Smart Phone or Tablet. 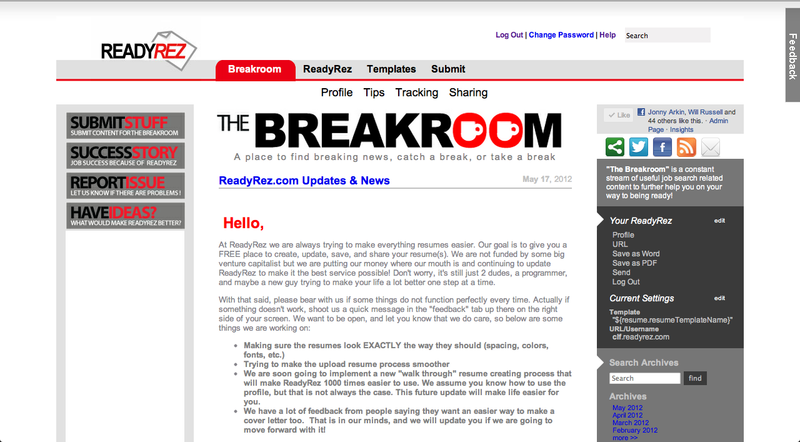 ReadyRez.com is the easiest way to create, store, and share a resume on the internet for FREE! 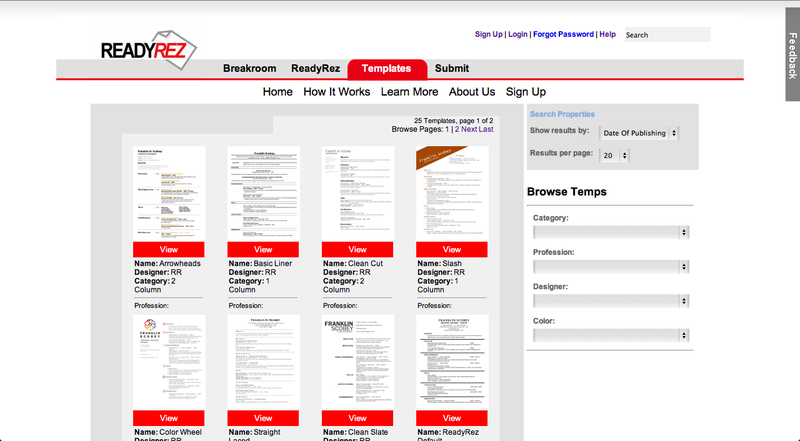 At ReadyRez we have an easy resume creator that will walk you through the basics of making a perfect resume. You then get to pick from tons of free templates to make it your own. It takes minutes to complete and will always be there for you when you need it in the future. 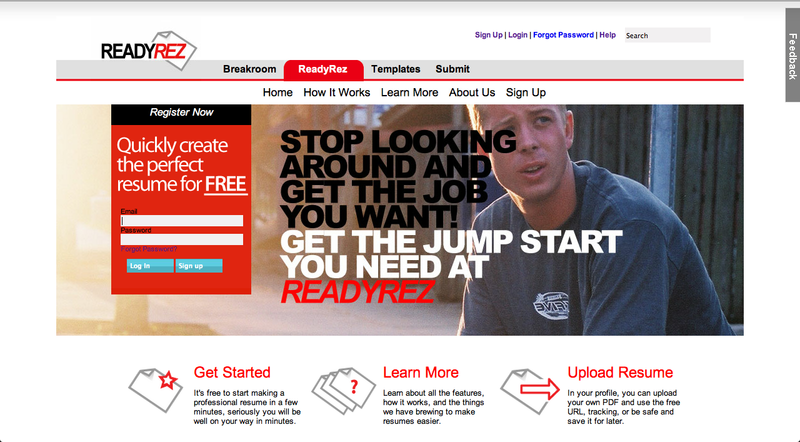 ReadyRez truly is changing the resume industry for the better. If you don’t want to make a resume on ReadyRez, that’s fine. 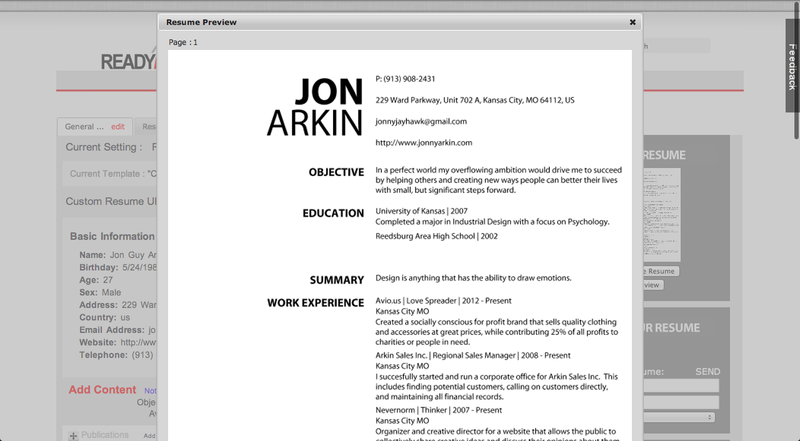 You can still upload a PDF of your existing resume and save it for later. Can you remember where you saved your last resume? Exactly. Trust us, if you take two-minutes out of your day to upload a resume, it could save you a ton of time down the road. 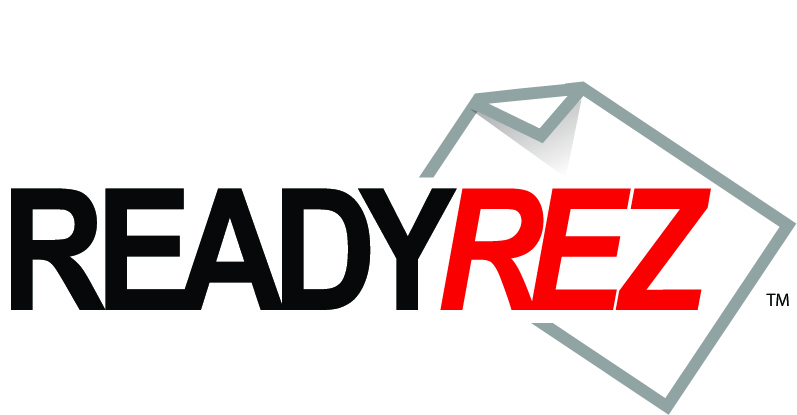 ReadyRez offers all of its members a way to quickly access your resume digitally. No more worrying about if you printed enough copies – just go to your custom URL! 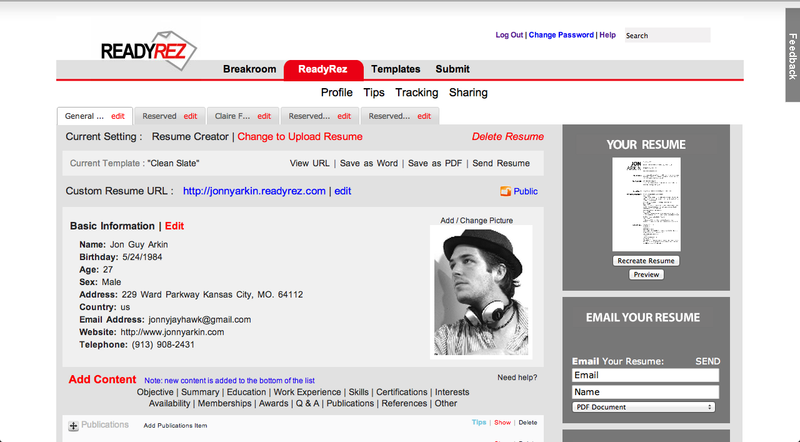 Whether you created a resume or uploaded a resume, you can create a custom URL to show it off. Let’s be honest, no one walks around with a resume in their back pocket, but with a ReadyRez URL link, you’ll always be ready. ReadyRez was started by two guys who were sick of the hassles associated with resumes and wanted to do something about it. You deserve to get in that door and land that job without any hassel. They’ve personally funded the site because they believe it can make a difference in peoples lives – so please, help spread the word!